NerdWallet’s semi-annual Consumer Banking Index revealed some important trends. First, there are major differences the products and services that banks and credit unions offer. 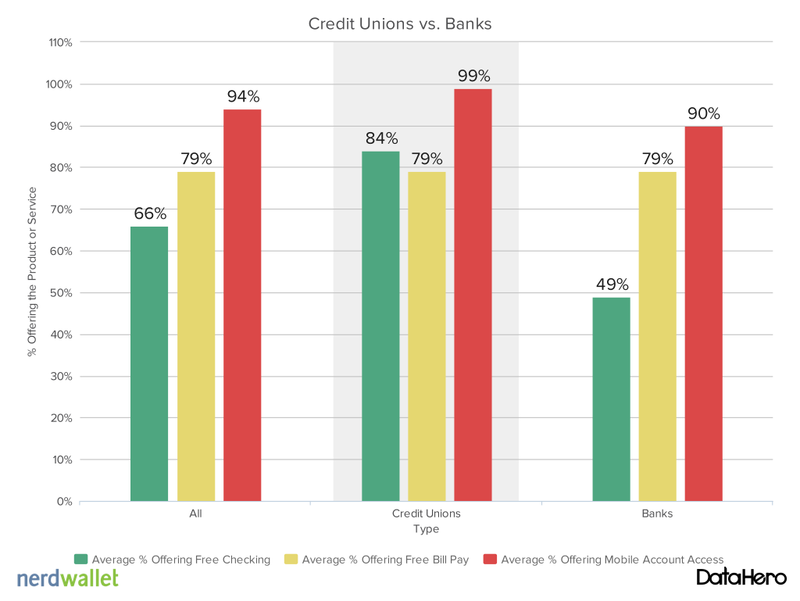 On average, credit unions are more likely than banks to offer free checking accounts, as well as mobile account access. Also, banks and credit unions of all sizes are working hard to meet consumer demand for online and mobile services. 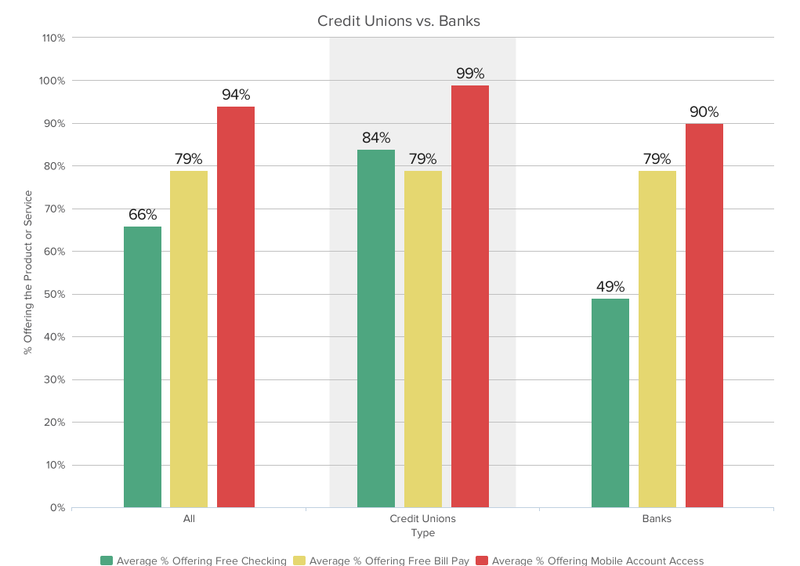 Over 90% of both banks and credit unions offered mobile access. Both also offer free online bill pay services nearly 80% of the time. Do you worry about meeting minimum balances, direct deposit requirements, or other such restrictions? Then a credit union is an excellent option for a basic checking account. Both banks and credit unions are working hard to meet consumer demands for online and mobile services. A community bank or credit union may be small, but they can still be just as tech savvy as big national banks.